Students have to work on a cloze passage about Video Games. The words that they have to fill in with are given. In the second exercise students have to put a convesation between a boy and his father in order. This could be used to stimulate discussion. Poem about a Snowman which melted during the day. 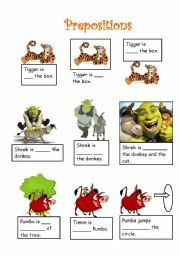 This worksheet is divided into 3 parts; Before you watch , While you Watch and After you Watch. 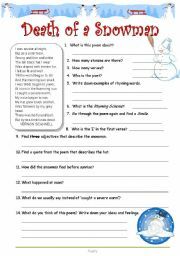 It includes discussion, a summary which students have to fill in and then a review. Any comments would be greatly appreciated. 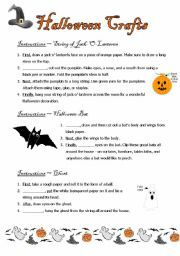 Students fill in the instructions and then follow them to do 3 Halloween Crafts. 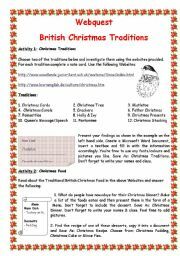 This Webquest helps students to read about British Christmas Traditions and then write a short report about any two of these traditions. The Second part focuses on the traditional food eaten during Christmas. 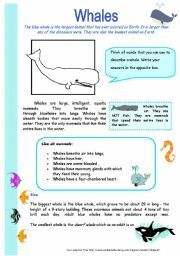 This time round students need to read the information provided on the two websites and design a menu. 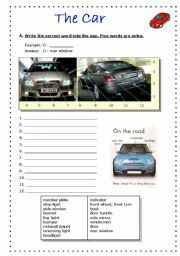 This is a simple worksheet where students just have to label the different parts of the car.